Toys for Tots Drop Off Locations in Imperial Beach! 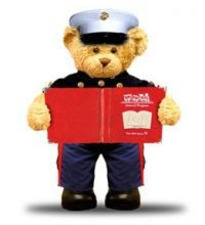 Toys for Tots is something many of us have lived with all of our lives. Don't let that be something we take for granted. Over its life span, the Marine Toys for Tots Program distributed over 469 million toys to over 216 million less fortunate children. Imperial Beach residents can donate new unwrapped toys at City Hall (825 Imperial Beach Blvd.) or the Imperial Beach Library. Please consider including a gift every time you shop online or are in a store. If you start now, you will be among the many who makes children dreams come true.